Red Stewart chats with Peter Albrechtsen about The Last Race and Wolfenstein II…. Peter Albrechtsen is a Danish sound designer and mixer who has been working in the film and television industries since the early-2000s. He is best known for his work on movies like The Girl with the Dragon Tattoo, Dunkirk, and Thelma. Mr. Albrechtsen, thank you for taking the time to speak with me. You’re often credited on projects as both the re-recording mixer and the sound designer. Which job do you prefer? It’s interesting because for me they very much come together in a way. I quite often feel that the work I do as a sound designer naturally brings me into mixing things, and the other way around. There’s always a thing about what is a sound designer doing and what is a sound mixer doing, and I’m often comparing it to the work of a production designer and director of photography where a sound designer, in many ways, is doing what the production designer does, like design things and find the elements that should be in the film. And then as a director of photography or the mixer, you then find out how to frame these things and what to enhance and what to enlighten. For many projects I’ve done both, and for some projects I’ve only done one of them, so I like going back and forth between those two. But now, with digital sound editing you’re doing a lot of mixing while you’re just editing things because you have everything available now with pro-tools. 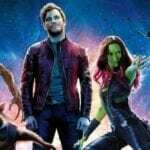 It means that things are really changing as opposed to like 10, 15, 20 years ago where the work of the sound editor was quite different from the work of the sound mixer because, just practically, there was a big difference. Nowadays, though, it’s much more the same. I’m based in Copenhagen, Denmark where here, in the Danish film industry, it’s quite rare to have dedicated mixers due to how small the industry is, so we often do our own mixing. So that’s given me a lot of experience as a mixer. But on the other hand, it varies. For example, I went to Skywalker Ranch and mixed with Pete Horner at Skywalker Sound, and something like that is brilliant because I bring all of my sounds to Pete and he kind of combusts them in a way. So it goes back and forth, but I love doing both. That’s very interesting to hear, especially regarding how the industry in Denmark works, congesting things so that they’re more or less in the same position now. You mentioned you’ve done various projects, and I feel that’s an understatement because, I have to say, I’m genuinely astounded by the number of projects you tend to do on a yearly basis. You have 14 credits for 2015 alone! Why is it that sound work gives you more time to do more roles? When I look at my IMDB, I’m overwhelmed as well [laughs]. But I’ll say it’s also because the projects are very different. Some projects are just short films where I’ve done some sound consulting and then there are projects where I’ve only been mixing, so maybe I’ll do mixing for three weeks and that’s it. And then there’s the projects where I’m both the sound designer and the re-recording mixer, and those projects take much longer. So a lot of the reasons for being able to do so many projects is because my role changes. But it’s also because…I mean, a lot of the projects I do I’m involved in very early. When I do a feature film, I’m involved already from the script stage, so I talk with the director when reading the script about how to create a sonic world for the film. Also, when I do a documentary, I’m a part of the project while they’re shooting, so we’re talking about how we can use sound during the shoot to enhance the film, and that means that often my work is kind of split into many, many short portions of time. And then I’m usually on projects where I’m the sound designer and mixer, making me a part of the final post-production, which is 2-3 months. A lot of the other projects are smaller on the consulting, meaning I’ll only be doing sound effects for 2-3 weeks. So it changes around, but I actually like being a part of projects for a long time. It’s funny when you see those IMDB credits because it’s kind of like “whoa, that’s a lot of films.” But what I do feel is that I’m actually a part of them for quite a long time. Even though it may look like I’m just jumping constantly from project to project, what happens is I’m actually involved in several projects at the same time, developing things and ideas and doing sounds while a picture is on. And then of course, with movies like Dunkirk where I was recording sounds in Denmark for one of the ships in the film, that was just a few days of work but something that was very important to the film. In a sense it’s changing a lot, but I’m also, process-wise, actually working on things for a long time. So it’s a little funny to see those credits. Right now, I’m working on a couple of films that will come out at the end of next year, while I’m also doing something else. I’m going back and forth, and then I’m just working a lot: I’m super enthusiastic about sound and really want to explore it and what you can do with it in movies. And I guess I’m a little obsessed [laughs]. So, when it’s like that, you tend to work a lot, but I suppose it’s called dedication and enthusiasm and perfectionism. For sure, and I admire that work ethic. You clearly have a huge passion for this field of film and you’ve pursued it actively. Now, let’s talk about The Last Race, as this is the film that put us in touch with each other. 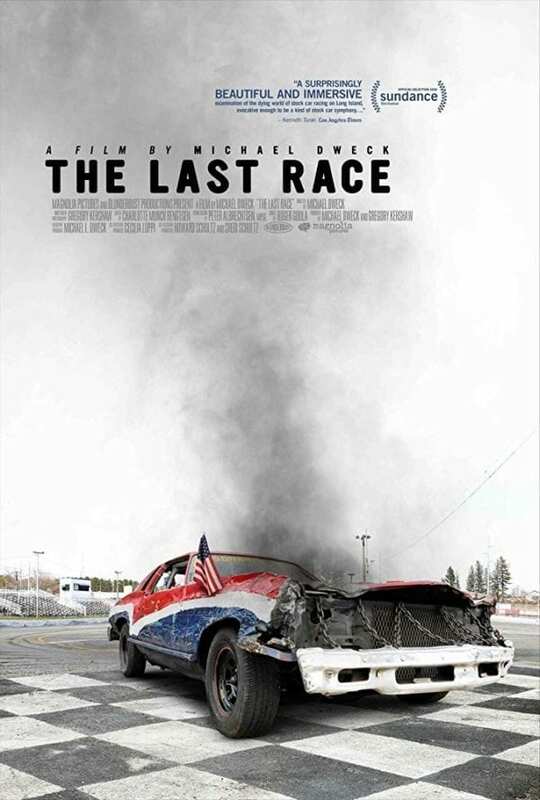 This is a documentary about a local town’s racing tradition. Obviously, this has a lot of auto racing and motor cars that needed to be brought out in the soundscape. What was that process like? Did you treat it the same way you treat car driving in feature length films, like I know The Girl with the Dragon Tattoo had some car chase scenes. Or was it a new template to work with? It was a really great film to do sound for because the director wanted the sound to be a major storyteller in the movie and he wanted a soundscape that was very visceral, very textured, in some moments very powerful and loud, and other moments very quiet and subtle and abstract, so it has a lot of different kinds of personalities. We worked a lot on the race track scenes. The director had been shooting for several years already and recorded a lot of sounds of these different cars. On top of that, we recorded new cars and I also used animal sounds and stuff like that to enhance the visceral experience of these cars even more. So it has a lot of different elements to it, and it was important to give you this feeling of how sensitive it is when you’re on these racetracks. Actually, as you’re driving those cars, you do lose hearing because it’s so loud! This physical element of sound was something that we worked with. And then, in other sequences, they were quite poetic and abstract, but for everything else it was building sound. In a way, it wasn’t that different from doing a feature film. It was just like building and putting sounds on and adding rev for every car you see because a lot of the racetracks were done without any sound recording, so we had to create everything with sound. There was a lot of layering going on and, for some sequences, there was also loud music playing on top of it. Requiem by Mozart, for example, played in one sequence, and I had to put on car sounds that worked together with the music when the car was screeching, while making sure that the tone of the screech was the same tone as the tone of the music. And when the cars hit each other, it was done in a way where it rhythmically fit with the music that was playing. So yeah, there was a lot of sound work in that film, and it was great to get to work on that documentary where so much of it is not about the words said in the film, but about experiencing the movie and experiencing the sounds and the visuals. It was a lot of fun.